From drone to action: capture actionable crop data across four multispectral bands, plus RGB imagery, spanning hundreds of acres in a single flight. 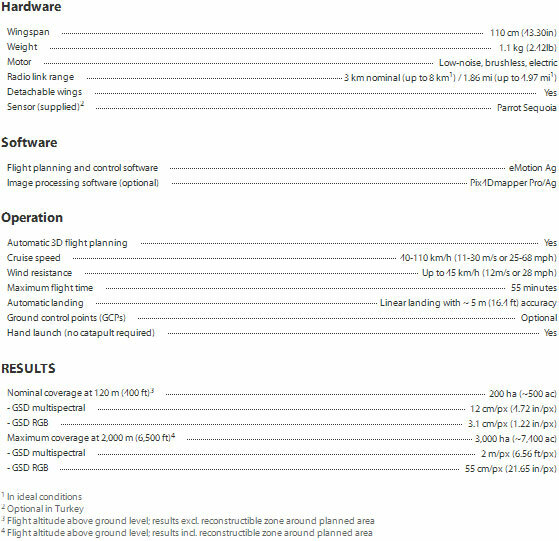 The eBee SQ‘s precise, calibrated multispectral imagery provides reliable insights into the real health of your crops. The eBee SQ is built around Parrot’s ground-breaking Sequoia camera. This fully-integrated and highly precise multispectral sensor captures data across four non-visible bands, plus visible RGB imagery1—in just one flight. 1 Suitable for gaining a quick visual overview of a field. Not suitable for creating survey-quality orthomosaics & point clouds/DSMs for 3D data analysis. 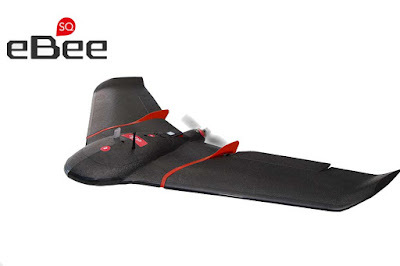 The eBee SQ can cover hundreds of acres in a single flight—up to 10 times more ground than quadcopter drones—for extremely efficient crop monitoring and analysis. This means fewer flights in total, for less time spent collecting data and more time acting on it.